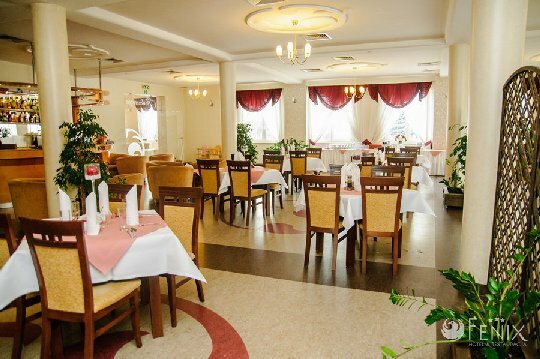 Located close to the airport Rzeszów-Jazionka, Hotel Fenix ​​is the best place for those who appreciate comfort. 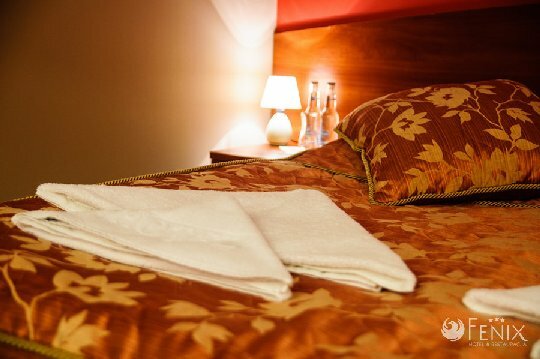 Nice and friendly staff make the stay a pleasant and enjoyable experience. Guests have a choice of single, double, triple, quadruple and one suite. Hotel in its twenty-three rooms can accommodate 46 people at the same time. The spacious and stylish rooms combine functionality and comfort. Guests will find comfort at a high level. All rooms are equipped with TV, telephone and Internet. Heighten the impression of extreme comfort with modern bathrooms. 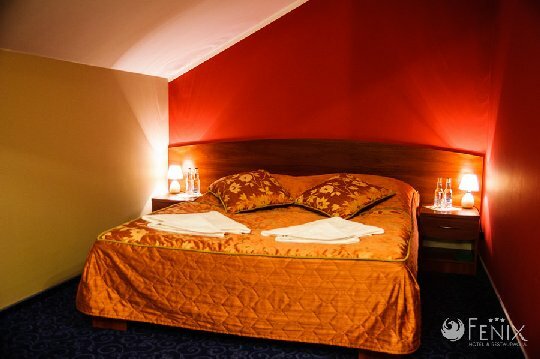 Rooms at the hotel are decorated in an elegant style with the utmost care, so that guests can have a good rest in them. 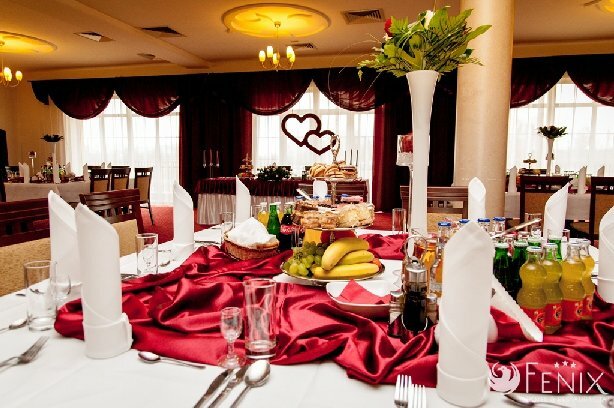 The biggest advantage of the Hotel Fenix ​​is an excellent traditional Polish and international cuisine. 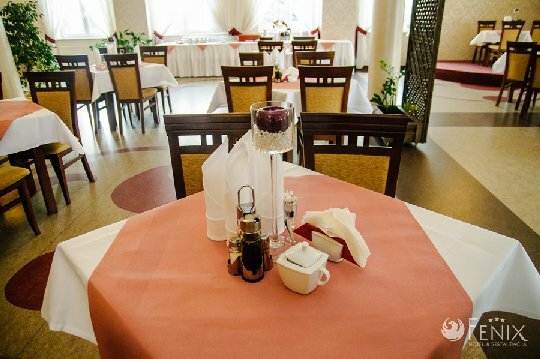 Guests will enjoy the exquisite flavors of dishes and enjoy an elegant method of administration to the table, while enjoying a good glass of wine. 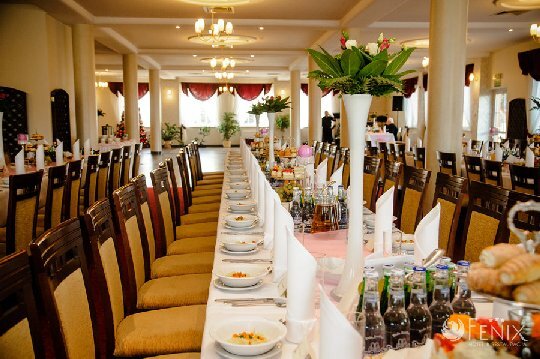 Guests have a wide choice of dining options like pizza, drink bar and a spacious hall, which can accommodate up to 250 people. Guests can enjoy a delicious meal and spend a pleasant evening drink in the elegant bar. Modern interior, friendly and professional service creates will make you spend a memorable stay. In view of the business guests the hotel Fenix offers meeting facilities that can accommodate from 10 to 200 people, equipped with multimedia equipment such as projectors, LED TVs, screens, flipcharts and sound. 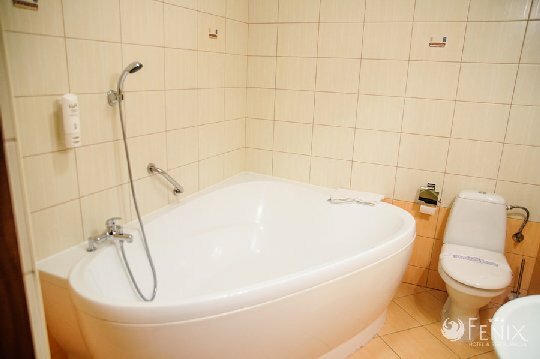 The hotel is close to the airport Rzeszow-Jasionka, at the A4 highway.